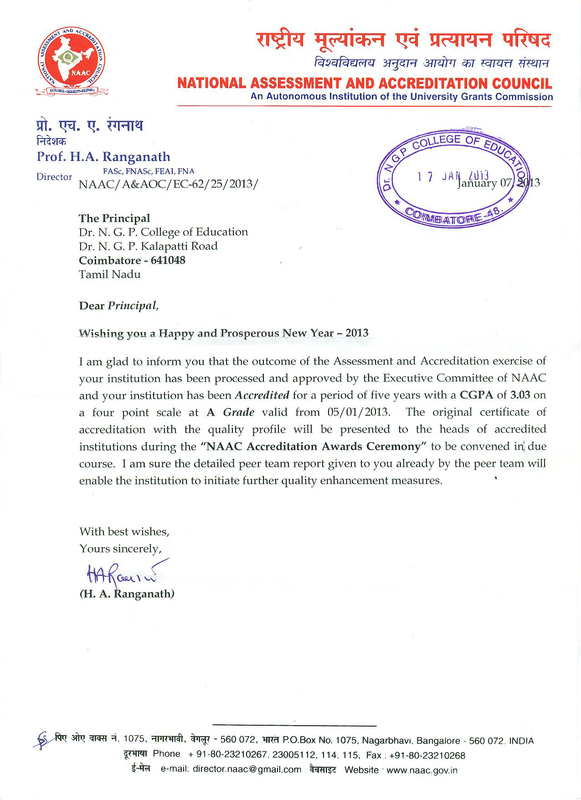 The college is run by Kovai Medical Center Research & Educational Trust. Dr. Nalla G.Palaniswami, basically a medical doctor, is the Chairman and Dr. Thavamani D. Palaniswami is our Secretary. This management is making lasting contribution in the field of professional education in order to inculcate the values in teachers in the present day set up. Our management is committed to society at large. Our college has a permanent building with excellent infrastructure. We have well-equipped laboratories in Physical Science, Biological Science, Computer Science, Educational Technology, Psychology and Work Experience. The attitude and interest of our management in promoting excellence in Teacher Education is reflected. We do have well-furnished classrooms, Multipurpose Hall and provisions for both indoor and outdoor games to bring out all round development for future teachers. We Have College Association, PTA & Alumni Associations. The Alumni have registered 100% passes with many University Ranks for the past 4 years.